We can help! Call today for a comprehensive eye examination. Out of contacts? Leave your exam with a new pair. Make an appointment today. Receive a complimentary pair with your exam in most cases. Helping you focus on things that matter. New Patients receive $50 OFF Second Pair of Complete Glasses! Call us at (615)-662-2800 today. One key to getting the most out of life is great vision. That’s why Jessup Eye Care is dedicated to providing you with the best in quality eye care. We want you to experience all the world has to offer, so we provide a wide range of products and services that include thorough eye examinations, diagnosis and treatment of sight-threatening conditions, high-quality eyeglasses, contact lenses for even the most difficult cases, and even a unique non-surgical method of reducing or elimination your dependence on eyeglasses and contacts. We’ve been around for over thirty years continually advancing our technology and innovative services and products. We strive to maintain a superior level of care. 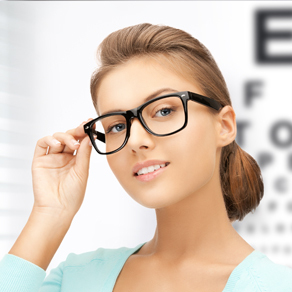 If it’s eyeglasses you need, just look to our highly trained opticians. We carry a wide range of fashion frames and sunglasses including Silhouette, Costa Del Mar, Bebe, Columbia, Ernest Hemingway, Charmant, Eddie Bauer, Elle, EasyClip, Marie Claire, Otis & Piper, Savannah, Esprit, Joan Collins, Marchon, EasyTwist, MiraFlex, and many more. 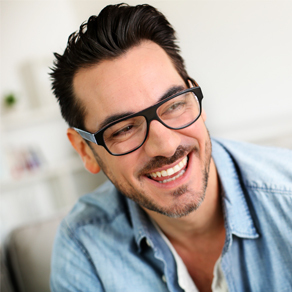 We make sure you get the most out of your vision plan benefits and look great at the same time. And best of all, we save you money compared to Big Box stores and franchise optical stores. And we do it without asking you to buy memberships or use the low quality products of online sellers. It’s time you got the most out of life with clear, comfortable vision for all your activities. For your convenience, we’re taking appointments 24 hours a day, 7 days a week; just leave a message with your number and we’ll call to find the time that’s best for you. Schedule today! We are also open most Saturdays so be sure to call ahead to check availability on this day. We will do our best to accommodate your busy schedule with a late afternoon or Saturday appointment. Schedule today! We go beyond traditional eye exams with the latest technology for evaluating ocular health and physical well-being. How you care for yourself and your eyes today will impact your vision and health in the future. Dr. Jessup is a native of Owensboro, Kentucky and remains a Wildcat basketball fan. He attended Eastern Kentucky University where he competed as a varsity gymnast. He then attended Southern College of Optometry in Memphis, Tennessee. Dr. Jessup has received a Bachelor of Science degree in Biomedical Sciences, and his Doctorate in Optometry.